Despite its political incorrectness and my yankee heritage, Margaret Mitchell’s Gone With the Wind is one of my favorite books. It was published 75 years ago–it seems like only yesterday. Check out National Public Radio’s terrific articles and reports about the book’s 75th anniversary. This occasion makes the book a great choice for book clubs–plenty new to talk about. And, it’s the 150th anniversary of the Civil War, so it’s timely. Be sure to read Pat Conroy’s chapter about Gone With the Wind in his book My Reading Life. I may be a fan of the book, but I’m nowhere near as devoted as a group of hard-core GWTW fans called the Windies who the New York Times describes as “so ardent that recreating the burning of Atlanta in an airport hotel banquet room is not out of the question.” I can’t join them. It’s just too hot for a hoop skirt. 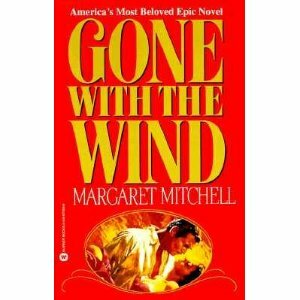 This entry was posted in Ideas for Book Clubs and tagged book club, books, Gone With the Wind, Gone With the Wind anniversary, Margaret Mitchell, reading. Bookmark the permalink.